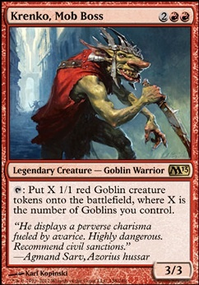 Salutations, my glorious goblin gaining gamer. I've come to pitch a few quick ideas I had while I was perusing your decklist here. I hope a few of these are somewhat helpful. 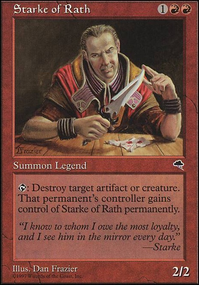 While I myself have not played a Wort deck, I must commend you for a very stylistic choice. I have perhaps one or two ideas to bounce off of you, and I'd love to know what you think of them. They are Recoup , Howl of the Horde , Dire Fleet Daredevil , and Price of Glory . 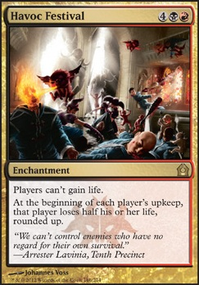 I play a Neheb the Eternal list in a meta that sometimes does feature a few pesky blue mages, so I've played a bit with Price of Glory as a method to "dissuade" them from interfering with me. I've also found Howl of the Horde to be quite a fun card, so I must know what you think of it yourself. I hope I've sparked some inspiration. Thank you for posting your list here. Cheers! Necron_Maverick: Thanks for checking out the deck! Sunder Shaman from my experience isn't that bad of a creature and I just happened to have him around because of the gruul guild kit I bought. 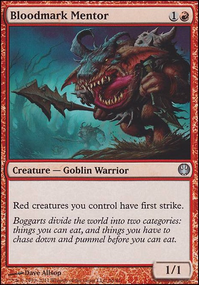 His utility can be pretty helpful but I think you're kind of right and he should be cut for probably Conclave Naturalists for the faster removal effect. 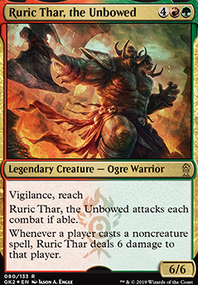 The ETB would also synergize with Ilharg, the Raze-Boar when it gets released later this month which would be really cool to play with. As for the draw effects of Life's Legacy and Momentous Fall , I had Life's Legacy in a previous build and found it didn't perform quite as well as I would like. 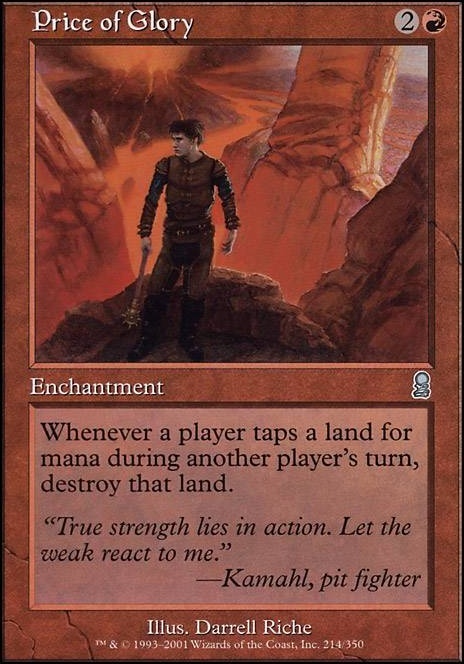 Since it required a pumped by xenagod creature to be on the field to get that full value I would consider it more of a "win-more-card" rather than one that can get me out of a pinch. Then again, previous renditions of this deck didn't have 30+ big creature targets so it may be a better draw card than I give it credit for. 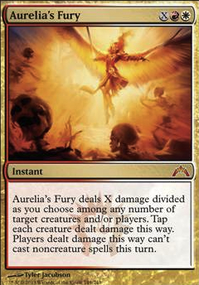 I think I would try cutting the Price of Glory for Momentous Fall since Price never really sticks around for more than 1 round of turns due to table groans. Actually, my goal is to make this deck as interactive as possible. Price of Glory absolutely does shut down a lot of the instant-speed things my opponents can do, but I'd prefer not to be shutting anyone down with this deck. I'm just here to have fun and make people attack in ways they totally don't want to attack. Might I suggest Price of Glory ? Cant have anyone countering the group slug now can we? Older20 yea that makes a lot of sense. Queen M was my first EDH deck and I was way less experienced with the format. I probably policed the other players too much and quickly became the arch enemy. Even still I feel like I ran out of a lot of options even If I was being patient and kept losing to annoying infinite blue decks. In my current list I run Price of Glory and Grand Abolisher just because of my hate towards blue haha. I am sure you are a great pilot for this deck and wish you the best of luck! 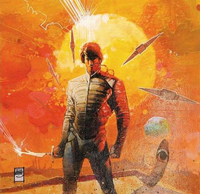 Since you're playing red and want to be a jerk about it, Price of Glory would be perfect.